When most people imagine a coral atoll, they mostly think of sparkling seas and blue skies, of white beaches and the wind singing gently through the tops of the palm trees. Reality, though, is rarely perfect. 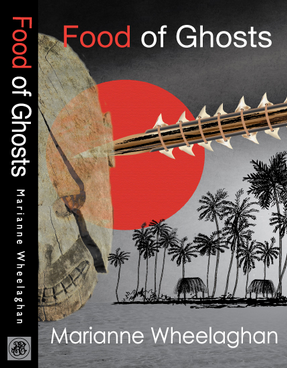 Ask Marianne Wheelaghan, the Pilrig authorwhose newly published novel Food of Ghosts is a police thriller set on the Central Pacific islets of Tarawa. In the early 2000s, she and her husband lived and worked there for five years after a spell in Papua New Guinea – she as a teacher, he as an overseas development administrator. So, as well as the former British protectorate’s undoubted charms and friendly people, she can also speak of its limited diet (fish, coconuts and imported tins of horrible lamb-flaps), claustrophobic lack of privacy, state corruption, mushrooming population, rising sea level, and the not wholly benign attentions of Christian missionaries. This wealth of personal experience has allowed Wheelaghan to create more than just a plausible exotic setting for her ‘feisty, fearless and vulnerable’ heroine far away from home. The problems and paradoxes of ‘Paradise’ are integral to the crimes her Edinburgh policewoman – Detective Sergeant Louisa Townsend – must investigate, and key too to explaining the pressures there which cause otherwise quite ‘normal’ individuals to act out of character. Robert Louis Stevenson, Wheelaghan recalls, was similarly intrigued by such difficulties as he wrote in Samoa during the 1890s. He thought a combination of Western exploitation, commerce and evangelical bullying would erase the native culture within a decade, but thankfully has been proven wrong. 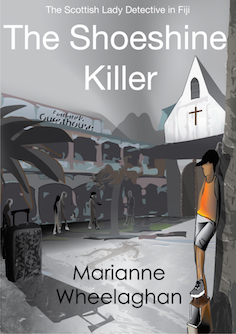 Post-imperial waves of Japanese and Chinese influence in the Republic of Kiribati have equally failed to extinguish the local spirit, and Wheelaghan feels sure that Pacific contexts will continue to provide amply fertile and varied settings for her Townsend mysteries in years to come. Food of Ghosts may be Wheelaghan’s first excursion into crime fiction as an author, but she has long enjoyed it as a reader and never subscribed to the prejudice – common even a decade ago – that the genre was somehow a literary inferior. The writers she admires include: the Americans Dashiell Hammett, Raymond Chandler, Lawrence Brock and Sara Paretsky; the Europeans Andrea Camilleri and Henning Mankell; and today’s outstanding Scots Val McDermid, Karen Campbell and Ian Rankin. The best examples, she argues, are without exception ‘good reads’, but they have also always commented on more than just the crime itself – they examine the society in which such crimes are possible. It is a statement which Stevenson, staring unflinchingly at the unwholesome underbelly of colonialism, would surely have endorsed. 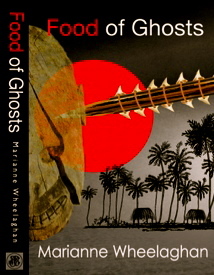 Food of Ghosts (ISBN 978-0-9566144-38) is available from Blackwell’s and all good bookshops for £9.99, but buy direct fromwww.pilrigpress.co.uk to get 20% off the RRP (and free Post and Packaging in the UK). 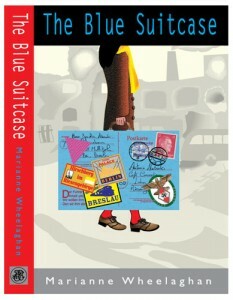 It’s also out on Kindle at £2.99.